We couldn't visit the UK without having a curry at some stage during the trip. 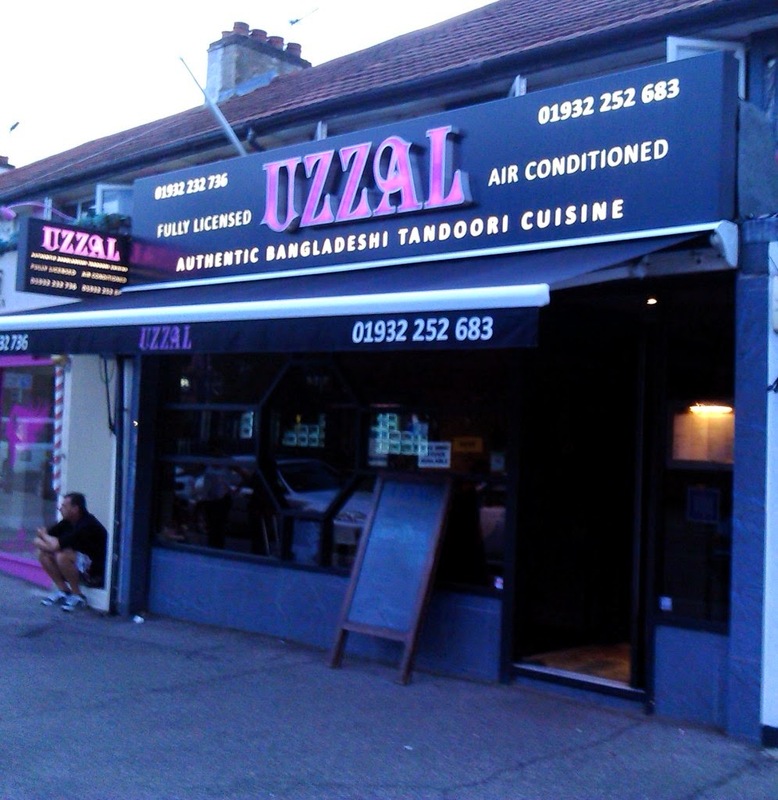 While staying in Hersham Uzzal was recommended to us, so we tried a takeaway one evening. 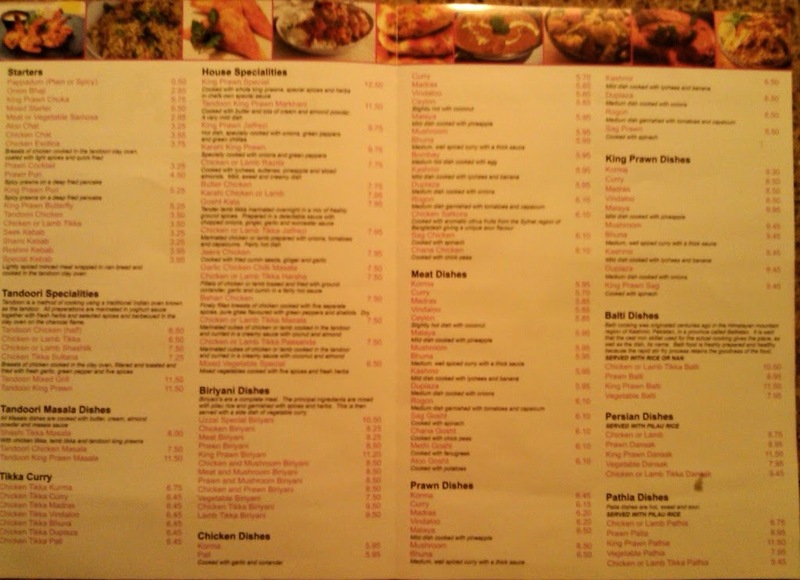 We couldn't find the menu online so I went in to check out the menu before ordering. 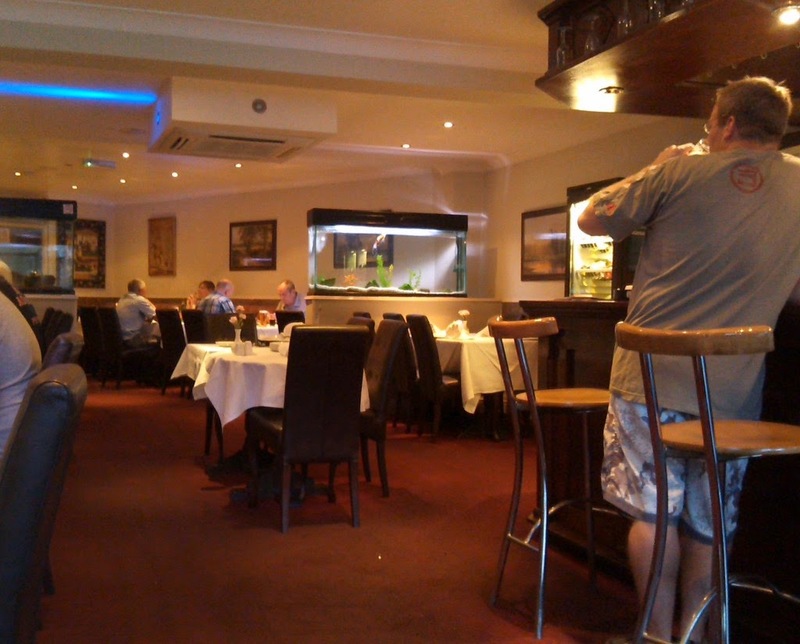 the decor was fairly typical for a modern British south Asian style restaurant. ...with a reasonable number of veggie dishes. 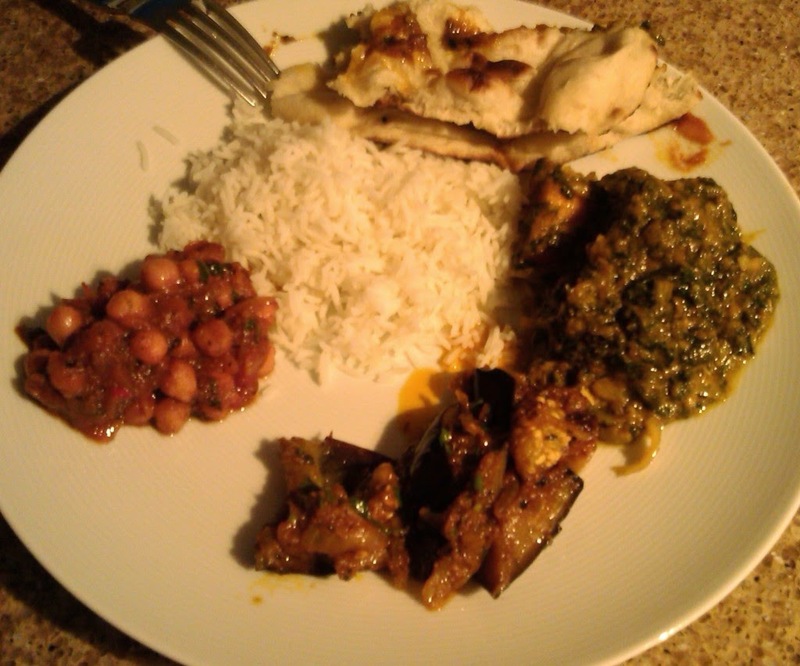 We went with (from left to right) the Chana Masala with chick peas in onion and tomato, the soft eggplant/aubergine of the bhindi bhaji and the sag chicken which didn't have quite as much spinach as some times. 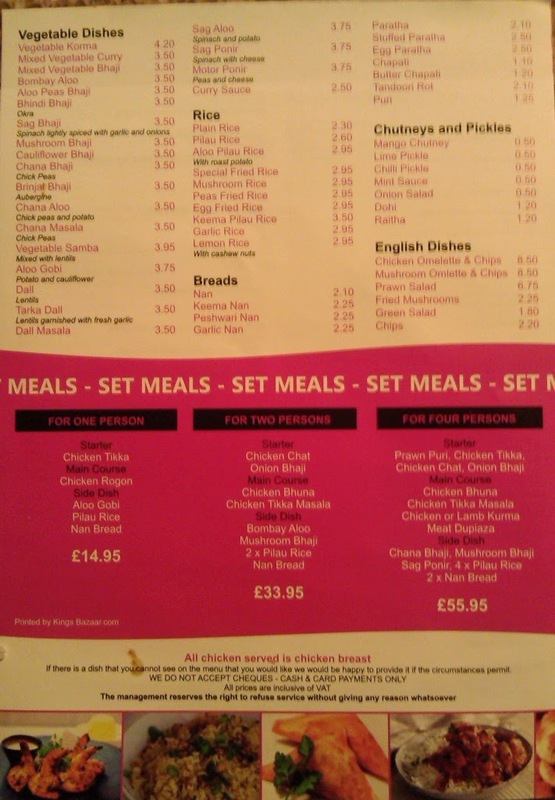 Of course we also had to have a soft pillowy naan as well as rice. All the dishes were winners, nothing was too oily and the spice levels were perfect. 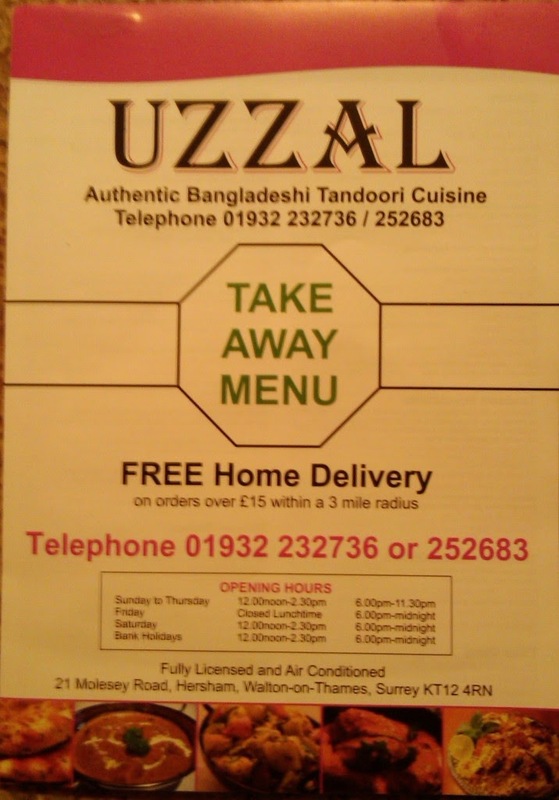 I had my meal in less than 15 minutes beat their estimate of 20 and we'd happily head back for more of their curry goodness!